Welcome: Name Change for Etsy Shop! Quick Quilt Kits for Busy Quilters! Name Change for Etsy Shop! We've changed our Etsy Shop Name....from WillowCreekByHeather to QuiltieSisterS! QuiltieSisterS really captures the essence of what our ETSY shop has become. 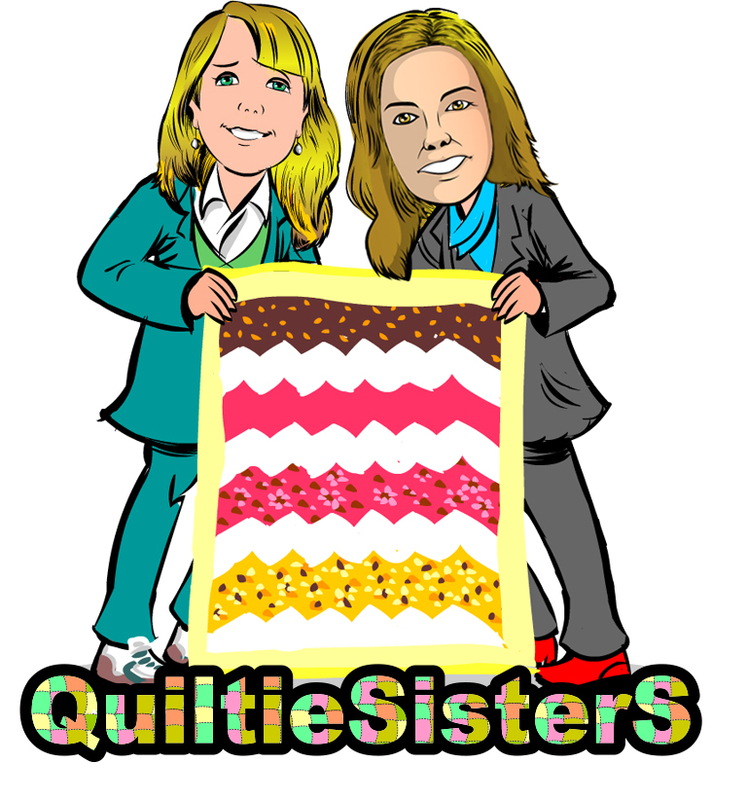 Two sisters who want to share their love of making fun, affordable, beautiful, handmade quilts with easy to follow instructions. We will still continue to update our QuiltieSisterS.com website with announcements and product pictures. The only change you will find is that the link to shop online has now changed to QuiltieSisterS. While Etsy should forward the old link to our new shop name, if you have book marked our former Etsy shop, WillowCreekByHeather, you will want to update your bookmark with our new link, QuiltieSisterS. If you have any problems, please let us know. For customers who have purchased from us, thank you! You can expect the same great quality products and service that you have come to expect. As you know, a QuiltieSisterS Kit, allows quilters to spend less time on design, creating templates, and cutting and more time on putting a fun project together. Our kits use professional die cutting machines to accurately cut patchwork pieces, borders and binding making it easier for our customers to make their own handmade creations that will be cherished for years to come. If you have any questions or looking for something custom, feel free to contact us.